This white kitchen went from builder-grade to amazing with a stunning island in warm gray stain with a gray-brown marble top. The glass table on a geomteric stained wood base allows leather chairs and warm wood floors to shine through. 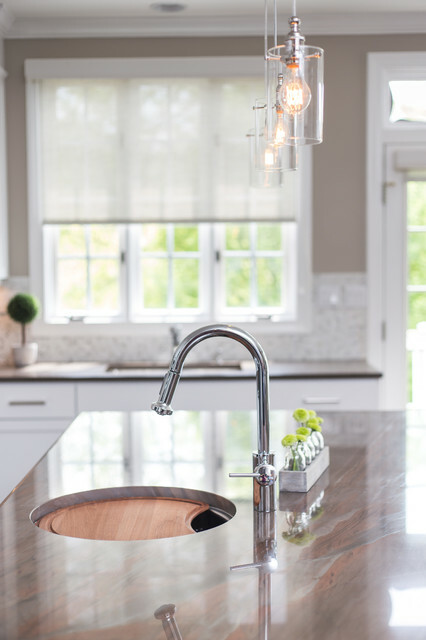 Edison bulbs illuminate the clear glass cyliders hanging over the island, and a fabric drum pendant softens the dining area.